Mysore, a historical city that still presents a glimpse of the past and its grandeur is a destination not only for history enthusiasts or architecture lovers but everyone who loves travelling. This city, promises an enchanting experience to every visitor by offering a peek into its regal past on one side while a soothing environment with modern facilities on the other side. Rich flora and fauna along with captivating scenic beauty makes Mysore an irresistible holidaying destination. Whether you are looking for a family holiday or a fun-filled break with friends, Mysore is perfect for all kind of travel plans. What adds on to a Mysore holiday is a well-planned tour package. Mysore tour packages from Holidays DNA are undeniably the best way to plan a holiday to Mysore city. Our varied range of packages that range from weekend break with your partner to summer holidays with kids, family holiday to honeymoon trip, budget travel to luxury travel, etc., makes all kinds of travel better. One such package is 1 Night & 2 Days Mysore Package from Holidays DNA. 1 Night & 2 Days Mysore Package are apt for those who want to have a quick Mysore tour. If you have only a few days for holidays then book this package for a complete Mysore tour. We have created our package in such a way that you can explore all the popular places of Mysore and have an enjoyable holiday even within a short span of time. Our Mysore packages are inclusive of a wide variety of facilities. As we understand that the most important part of any holiday is the place where you stay, we have selected the best hotels in Mysore for each category. 1 Night & 2 Days Mysore Packages offer stay of 1 night and 2 days in one of the selected hotel. You are offered complimentary breakfast as well, which is in addition to various other facilities at the hotel. Another important part of a holiday is the sightseeing. With our package, we have taken care of that as well. 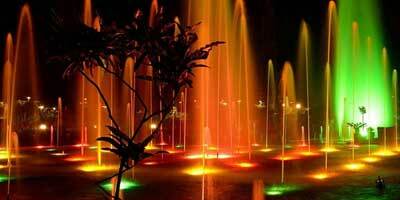 In 1 Night & 2 Days Mysore Packages, we offer a separate private taxi for sightseeing. With our exclusive cab by your side, you can visit all the popular tourist attractions in Mysore. Some of the places that you can visit on your Mysore tour are Jaganmohan Palace, Mysore Maharaja Palace, Lalitha Mahal Palace, Brindavan Gardens, Mysore Rail Museum, Melody World Wax Museum, Jayalakshmi Vilas Mansion, Krishnaraja Sagara dam (KRS Dam), Lingabudi Lake, Mysore Zoo, Kukkarahalli Lake, Jaganmohan Palace Art and Gallery, Karanji Lake, Chamundeshwari temple, Ranganathittu Bird Sanctuary, Sri Ranganathaswamy Temple, Chamundi Hills, etc. You can visit all of these or pick a few places of your choice and spend more time exploring them. With our cab to take you back to hotel, you need not worry about the time that you can spend at any particular place or finding local public transportation. Along with this, driver payment and parking charges are also included in the total cost of the package. Our packages are priced at reasonable rates, without any compromise on the services’ quality. In fact, our travel experts offer 24/7 assistance to all customers, ensuring a hassle free travel. Our list of Bangalore Mysore Packages caters to everyone, irrespective of the budget, number of days or any specific requirement. In addition to all this, we also offer tailor made 1 Night & 2 Days Mysore Packages if in case you have any specific requirement. You can inform our travel executives about your need to get a tour package planned in the exact way you prefer.